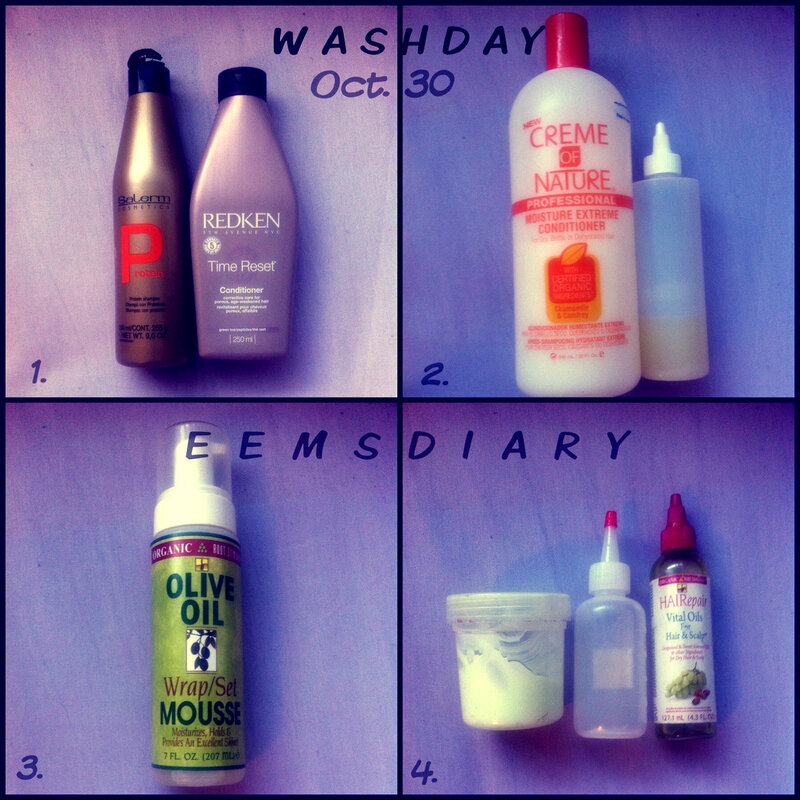 Before putting any product on my hair, I start with detangling my hair in four sections. 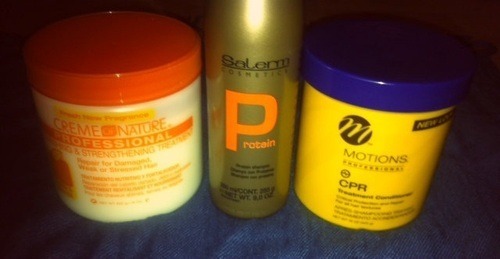 After detangling my hair I began with a pre-poo aka hot oil treatment. I applied my oil mix (castor + olive oil) all over my hair and scalp. After that I cover my hair with a plastic bag and sit under the dryer for 30 minutes. After the treatment my hair is so shiny. I did notice a difference with my last pre-poo. This time my hair was a bit stiff. I need to keep an eye on that. 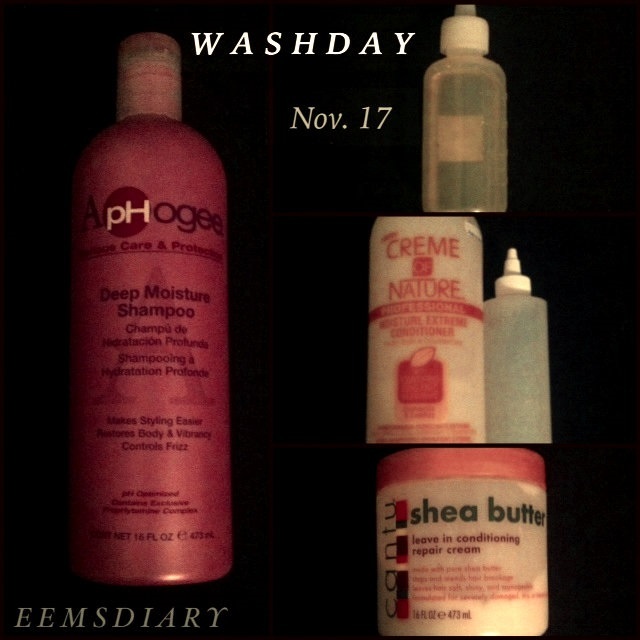 Soooo .. this wash routine was a mess !!! I don’t know what’s up but for the past 2 weeks I have been slacking. Going to bed without moisturizing my hair or put a scarf on. Because of that my hair is breaking and shedding like crazy. I even skipped my washday on Sunday. Step  Pre-poo: on my hair I used Organix Moroccan Argan Oil conditioner and for my scalp I used an oil mix (castor + peppermint oil). I pre-pooed my hair for 30 minutes without heat. As a girl .. 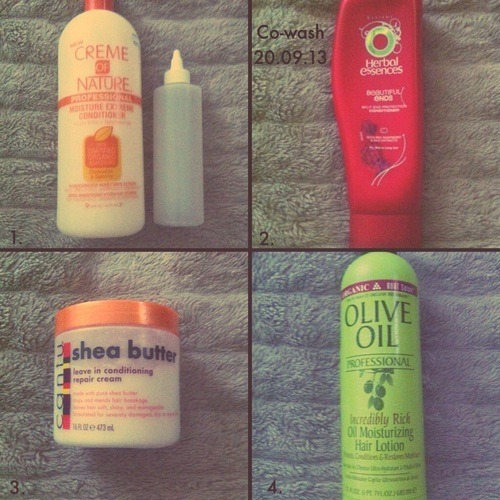 I love to shop and this also counts for my hair products. I was in need for a protein product .. so I decided to buy the Salerm protein shampoo. This was also a product that I wrote down for my wishlist 2013. LOL it took me 10 months to finally buy this shampoo… ow well I got it know and can’t wait to try it out. I also bought 2 protein conditioners .. why 2 I really don’t know. I went to the store with Motions CPR conditioner in mind, but when I saw Creme of Nature Nourishing and Strengthening Treatment … I had to buy it (I live in the Netherlands.. and products here are limited. So when I see a product with positive reviews from other ladies.. I go crazy).